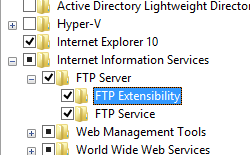 The <caching> element specifies the credential settings for the FTP service. The FTP service caches user credentials for performance reasons, thereby decreasing the time that is required to authenticate clients and reducing the overhead that is associated with looking up user credentials in the security store that is in use. For example, when using FTP Basic authentication, user credentials are stored in the local accounts database on the server where the FTP service is running, or on a domain controller. If you are using .NET membership credentials, the user accounts are stored in a database. If the domain accounts or membership database are stored on a remote computer, then credential caching will help offset the time that is necessary to validate accounts. On an FTP server with a large number of account logins, this can substantially increase performance. When your security requirements dictate that credentials must be flushed immediately, you can configure credential caching to suit your environment. For example, if you change a password after you have successfully logged in to your FTP site, your old credentials may be cached for the duration of the cache time-out. In a network topology where this is likely to occur with regularity, you might want to decrease the cache time-out or disable caching. Credential caching is enabled by default for FTP 7.0, FTP 7.5, and FTP 8.0. Credentials are cached for 15 minutes. The lifetime for credentials in the cache is specified by the flushInterval attribute, and credentials can be flushed manually by restarting the FTP service. IIS 10.0 The <caching> element was not modified in IIS 10.0. IIS 8.5 The <caching> element was not modified in IIS 8.5. 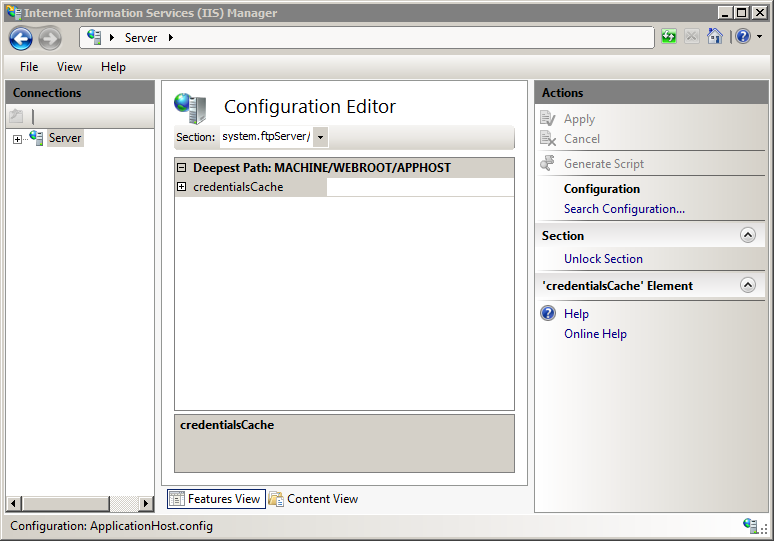 IIS 8.0 The <caching> element was not modified in IIS 8.0. 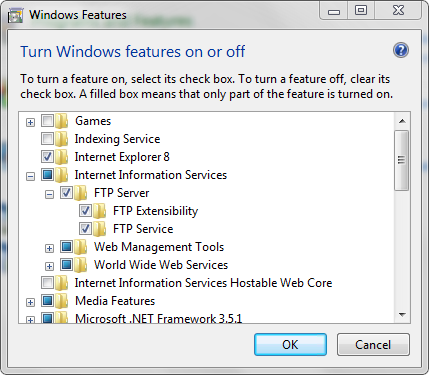 IIS 7.5 The <caching> element of the <system.ftpServer> element ships as a feature of IIS 7.5. 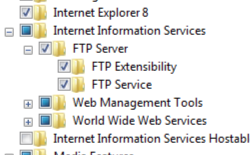 IIS 7.0 The <caching> element of the <system.ftpServer> element was introduced in FTP 7.0, which was a separate download for IIS 7.0. With Windows 7 and Windows Server 2008 R2, the FTP 7.5 service ships as a feature for IIS 7.5, so downloading the FTP service is no longer necessary. 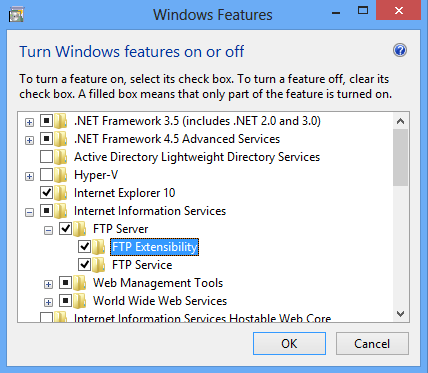 To support FTP publishing for your Web server, you must install the FTP service. To do so, use the following steps. 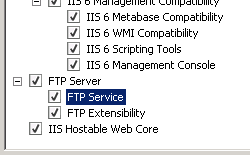 On the Server Roles page, expand Web Server (IIS), and then select FTP Server. 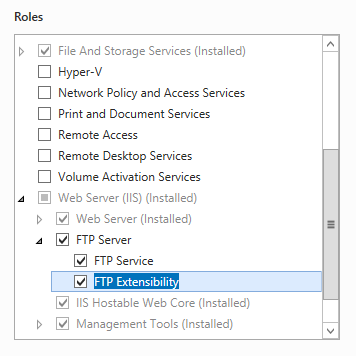 To support ASP.Membership authentication or IIS Manager authentication for the FTP service, you will need to select FTP Extensibility , in addition to FTP Service . Click Next, and then on the Select features page, click Next again. Expand Internet Information Services, and then select FTP Server. 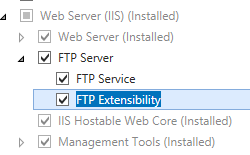 To support ASP.Membership authentication or IIS Manager authentication for the FTP service, you will also need to select FTP Extensibility . 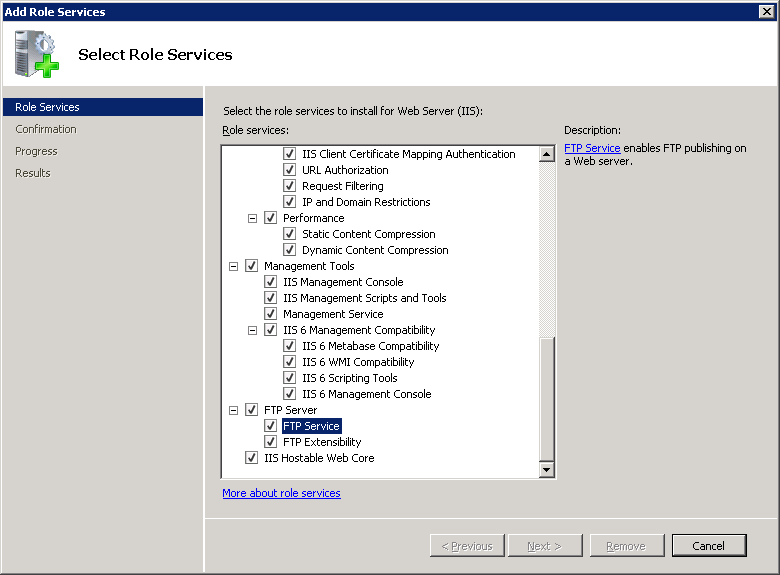 On the Select Role Services page of the Add Role Services Wizard, expand FTP Server. Expand Internet Information Services, and then FTP Server. There is no direct user interface that lets you configure the <hostNameSupport> element, therefore the following steps will use the IIS Configuration Editor feature. In the Connections pane, click the server name. In the Home pane, double-click the Configuration Editor feature. In the Section drop-down menu, expand sytem.ftpServer, and then click caching. Expand credentialsCache in the list view. Choose True or False in the drop-down list for the enabled attribute. Enter the number of seconds for the flush interval for the flushInterval attribute. The <caching> element is configured at the global level in ApplicationHost.config. 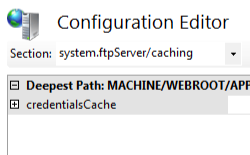 Specifies the credential cache settings for the FTP service.